Throughout March, ETSU’s Chronic Illness and Disease Awareness Organization (CIDA) has held several fundraisers on behalf of Johnson City’s Small Miracles Therapeutic Equestrian Center. In April, CIDA will also be assisting Small Miracles with the upcoming Western Derby Dinner and Auction Benefit. 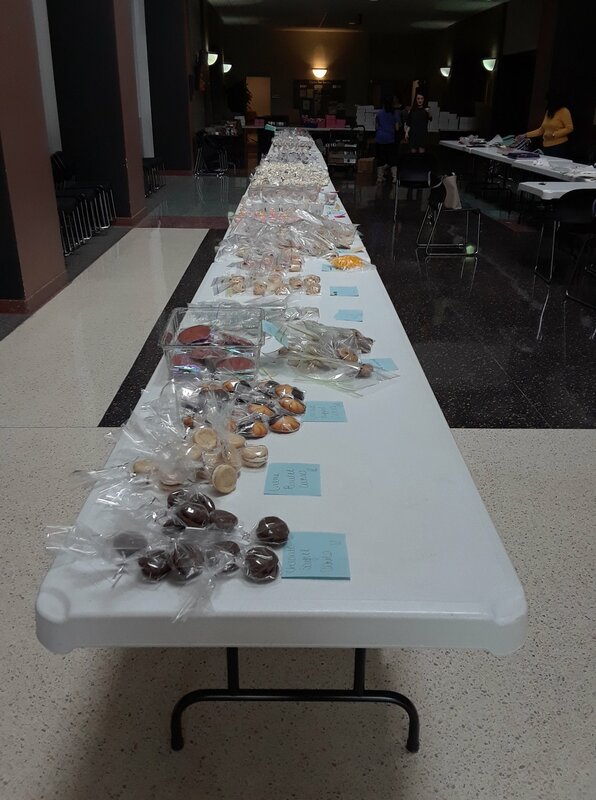 CIDA held an on-campus bake sale to raise proceeds for Small Miracles earlier this month. Most recently, CIDA and the Honors College Student Council co-sponsored a charity ball at Carnegie Hotel from 7-10 p.m. on March 27. The ETSU faculty and students who attended enjoyed hors d’oeuvres and dancing. By raising funds for Small Miracles, CIDA hopes to increase public awareness of autism. Currently, Small Miracles provides services for over 300 people throughout the region. The organization offers five main programs. Available in mounted and unmounted variations, the Therapeutic Horseman Program fosters physical and mental wellbeing in people with special needs. The lessons are crafted to meet the requirements and objectives of individuals. The Horses Opening Pathways to Engagement (HOPE) Connection Program is more socially-oriented. It helps groups of students improve their academic, relationship and overall social skills. The HOPE program is aimed at people with autism spectrum disorders, pervasive development delay or sensory processing disorder. The Friends Program helps young people with disabilities develop the social and work-readiness skills needed as they move through their lives. The Positive Youth Development (PYD) Program fosters positive interactions between horses and youths who have been through traumatic experiences. The program aims to inspire hope and improve the social and leadership skills of students. Small Miracles has partnered with Johnson City’s James H. Quillen Mountain Home V.A. to provide the Horses Empower Heroes (HEH) Program. Aimed at veterans suffering from PTSD, the program is intended to inspire hope and provide the means for participants to recover. On April 7 from 5-7 p.m., CIDA will be assisting with the Western Derby Dinner and Auction Benefit. Pratt’s BBQ will be catering. Tickets are $20 and can be purchased by contacting Mary Smith at 423-384-0894 or marypsmith@charter.net. Next post Video games lack female representation, why?